Preciousyou.in is an online store where one can shop Designer Jewellery at affordable price . I placed order for three pieces of Jewelry . It’s earrings collection is awesome and one can get some unique designs there . 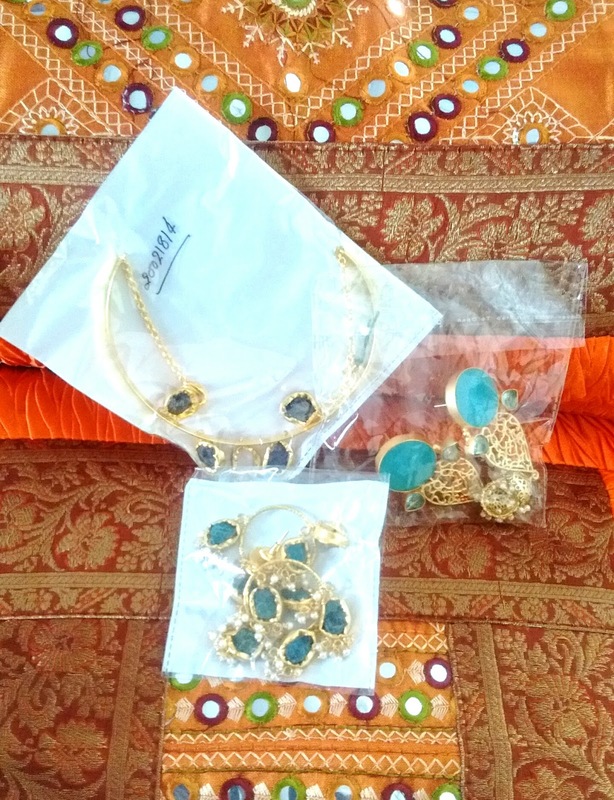 I received my package with in 3-4 days of placing order . All jewelry pieces were bubble wrapped and all three pieces was in a plastic box . 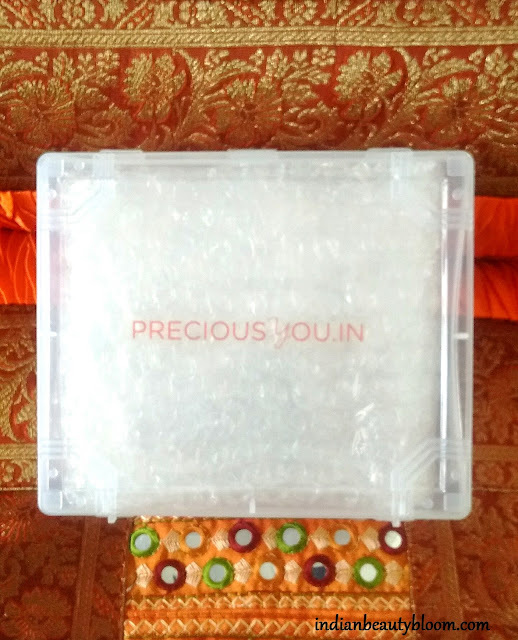 So one receives products in good condition. 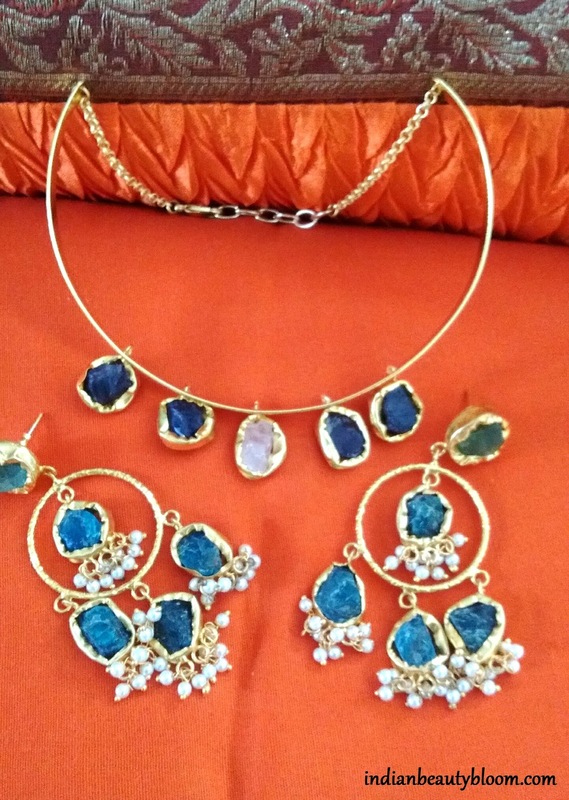 These are the three pieces of Jewelry which I have ordered . A Hansli Necklace and Matching Earrings . This necklace is a Hansli with some semi precious stone on it . 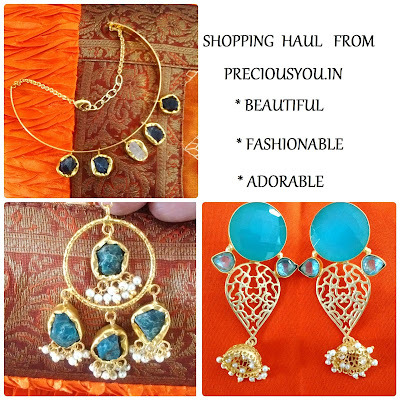 Made from rough semi precious stone this earring look Bold & Beautiful . 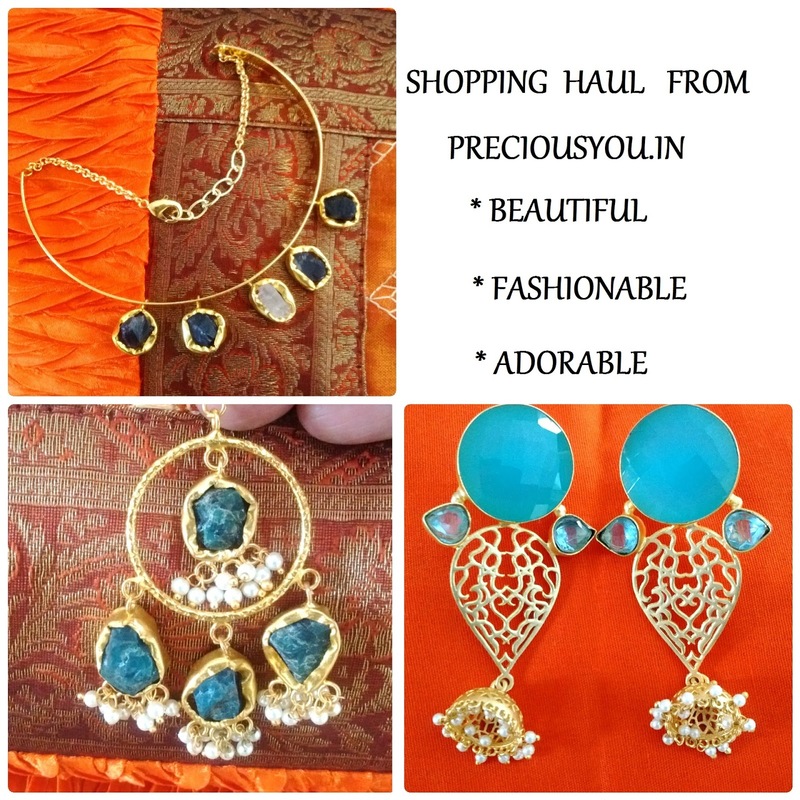 It’s meant for ladies who are Bold and wish to have a style statement . 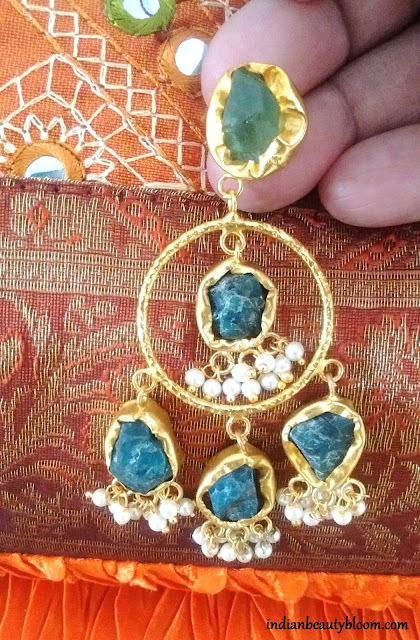 This is a beautiful earring made from rough semi precious stones . I loved the design and color of stone . 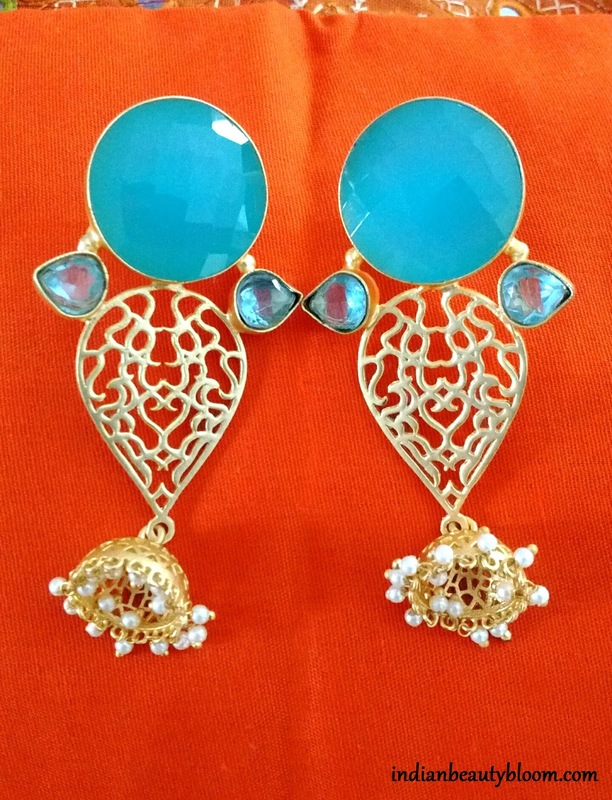 The small Jhumki in it makes it ideal to be paired with Indian Ethnic Wears . 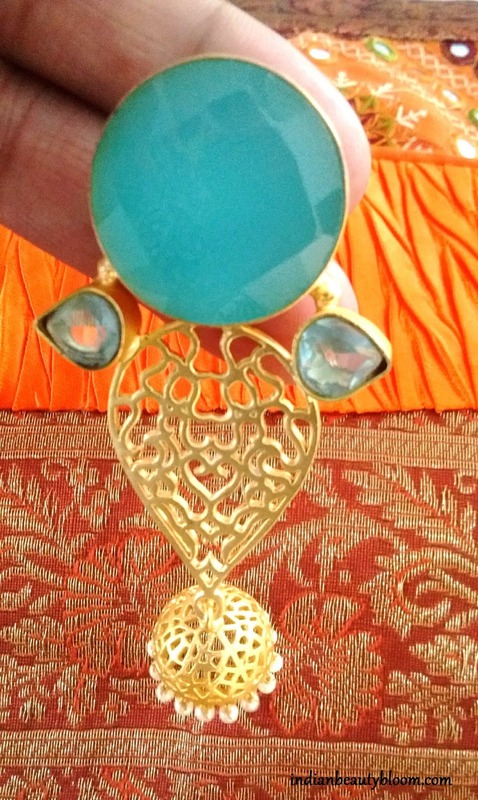 On a closer look one can see fine Jaaldar work on it which makes it look distinctive and beautiful . * Distinctive designs which makes them look different from others . 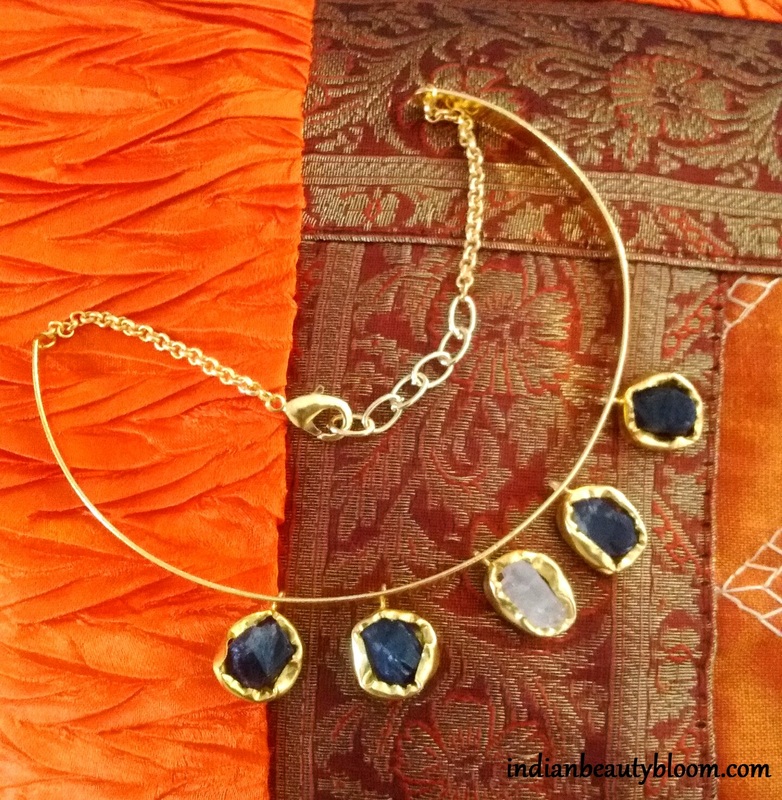 * These pretty jewelry pieces can be paired with both Indian & Western outfits. * Wide range of products and designs to choose from. * Easy to place order. *Easy payment options like Credit card , Debit Card , Net banking etc. * Ships all over India.